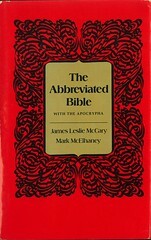 "This is a "biblical digest" of the Holy Scriptures — an abridged version that condenses the Bible on a book-by-book, chapter-by-chapter basis. 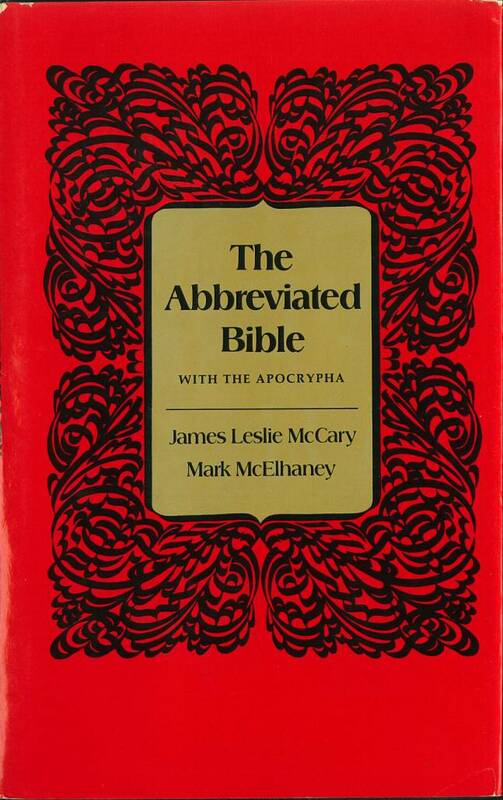 And the chapters in this abbreviated volume stand alone as separate entities, just as they do in standard versions of the Bible. No merging of chapters or other over-summarization has been attempted. 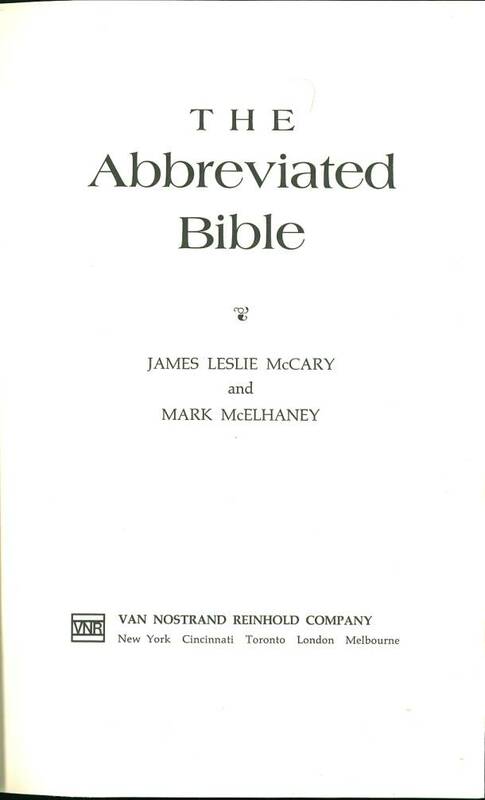 A dozen different translation of the Bible were used in preparing this condensed rendition, which places emphasis on the clarification of significant passages for the modern reader while adhering to the meaning of the original biblical languages." — From the Jacket. James Leslie McCray is professor of Psychology at the University of Houston and Director of Psychological Services, Almeda Clinic, Houston. Mark McElhaney is Assistant Professor of Psychology at the Medical Branch of the University of Texas, Galveston. Contents: A condensed version of the Bible (includes parts of the Apocrypha).